Holo attempts to win you over with her intellect. Flip a coin if heads the damage is of 30. If tails you avoid all damage from this attack. 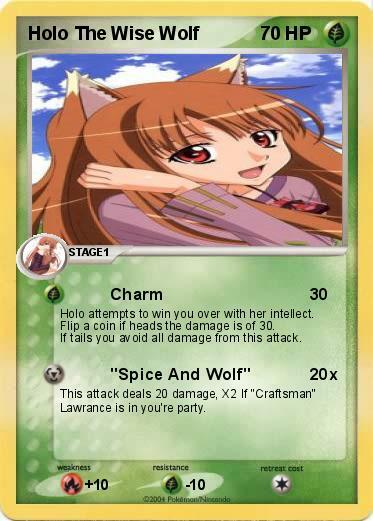 Attack 2 : "Spice And Wolf"
This attack deals 20 damage, X2 If "Craftsman" Lawrance is in you're party.